I am a huge pasta lover and would probably eat it everyday if I could. 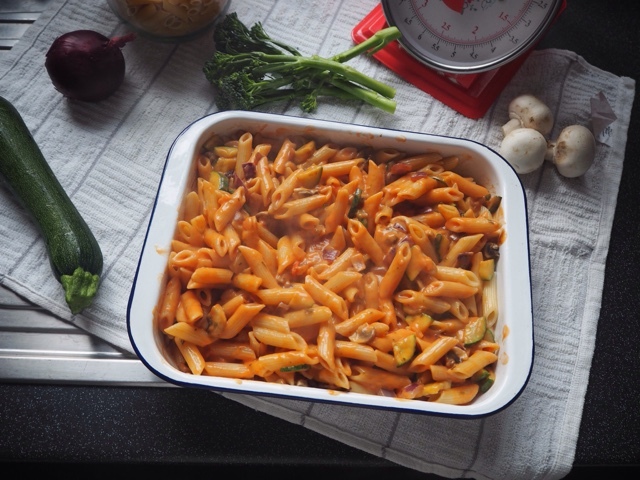 Pasta bake is one of my go-to dishes when I'm not in the mood to cook and want something quick and easy to make. 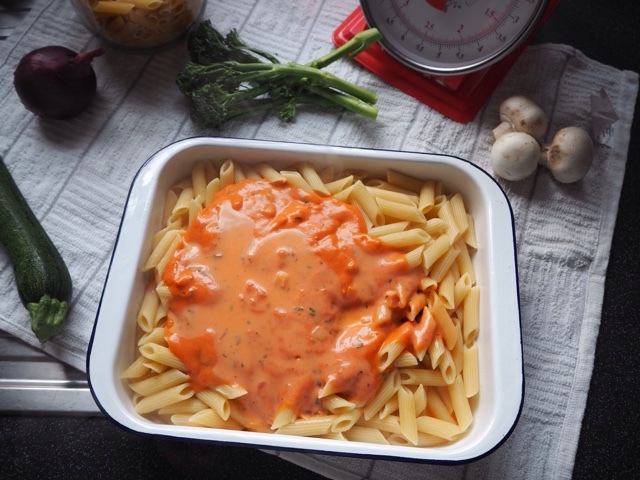 I often make this dish if the boy and I won't be having dinner together as I can cook this and eat it for my tea, and James can warm his up and eat it when he gets in. 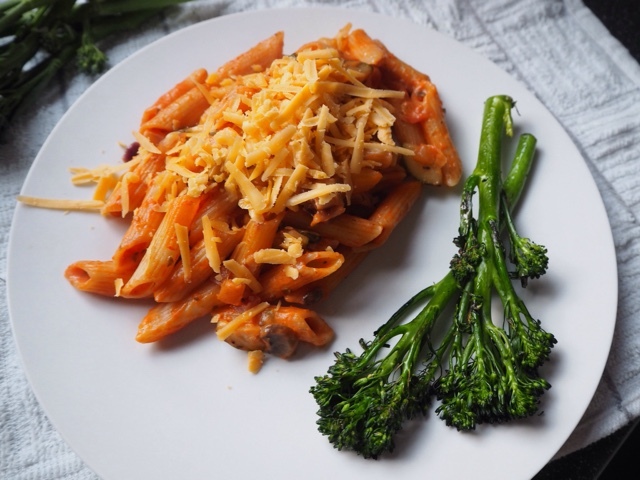 Cheesy pasta can sometimes be a little heavy and is mainly made up of carbohydrates and so I often like to add a couple of difference kinds of vegetables to the dish. 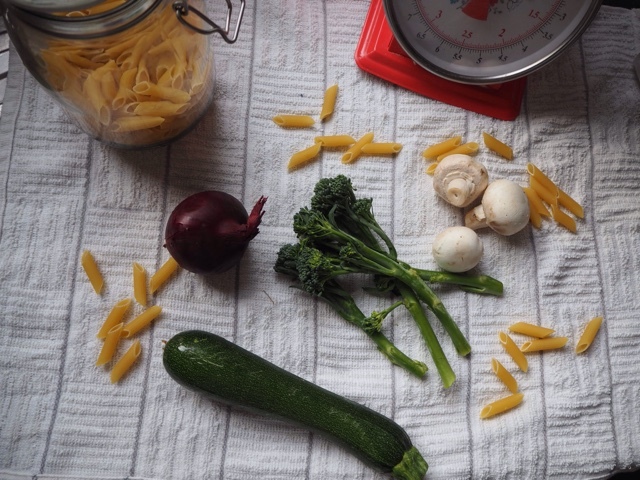 I've teamed up with Tenderstem, an online collaboration of recipes with a focus of using tenderstem broccoli and so this became my vegetable of choice when cooking this dish. Boil the pasta in water until cooked. 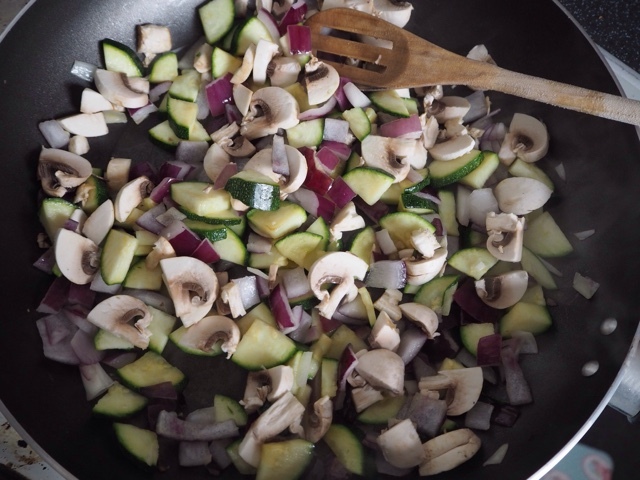 Whilst this is cooking, chop the courgette, mushrooms and onion into small chunks and lightly stir-fry in a pan. 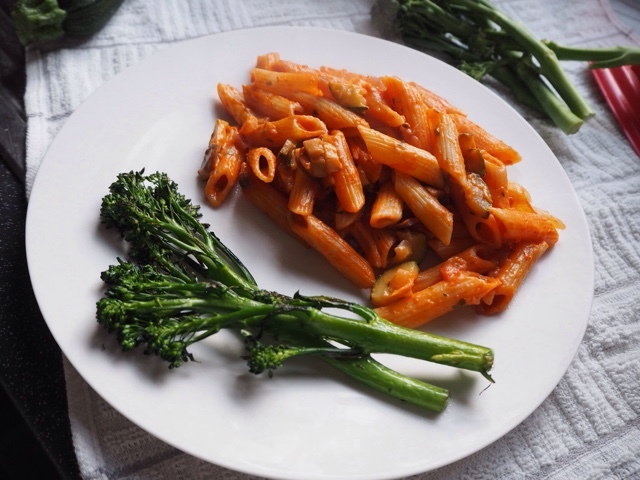 Once the pasta is cooked, place in an oven-proof dish and add the fried vegetables and sauce. Ensure it is evenly mixed and place in the oven at 180 degrees for about twenty minutes. 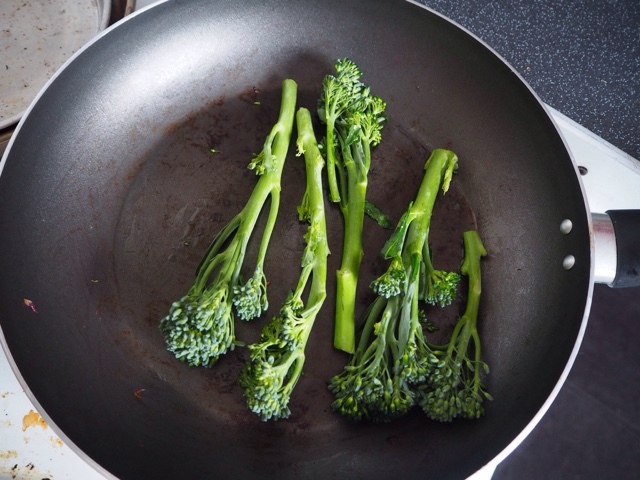 Put a small about of butter in the frying pan and add a few stems of Tenderstem Broccoli. Lightly fry until cooked. 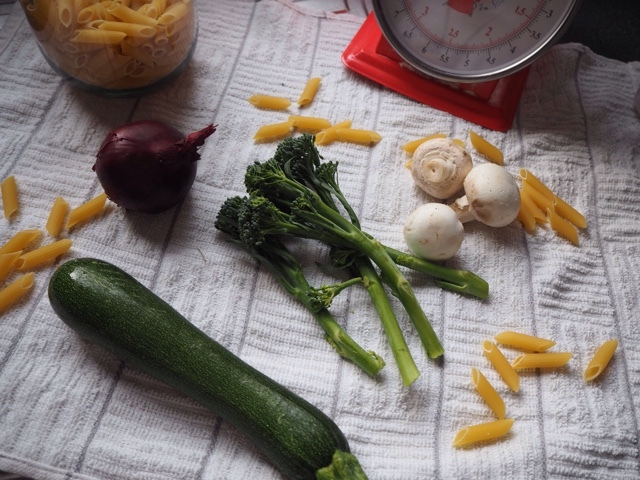 Dish up the pasta bake and lightly sprinkle with the grated cheese. 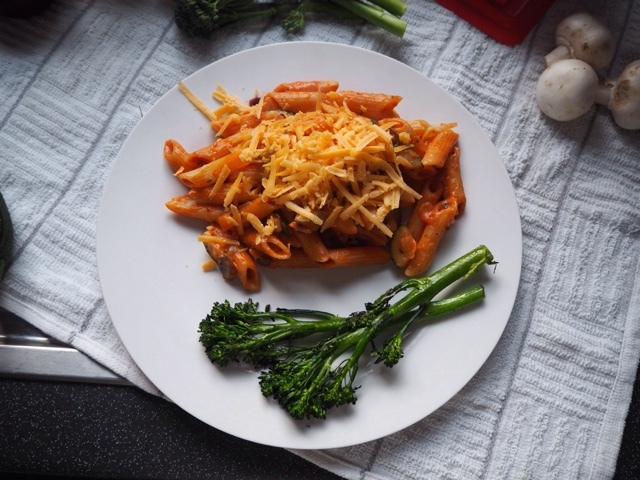 Serve with a side of the Tenderstem Broccoli. 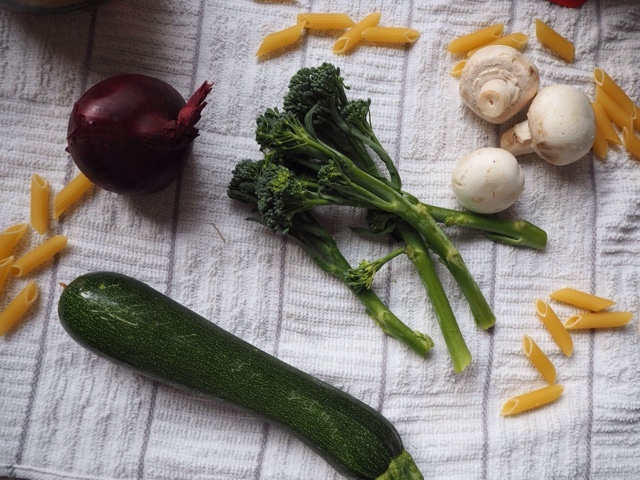 How would you incorporate Tenderstem Broccoli into a recipe?